Welcome back to Another Mother. Glogirly wants me to thank you from the bottom of her heart for your wonderful comments and emails. She is very touched that you are enjoying the story. Myself, I'm getting a little anxious to take back the spotlight. This is MY blog after all. Dorothy and Glogirly headed up the coast towards a town called Paso Robles. Jeanette's oldest daughter, Candy, lived on a horse ranch just outside of town. Jeanette and all of her children were gathering there to meet Glogirly. Dorothy enjoyed playing the part of Ambassador. She took great care to make sure Glogirly was not overwhelmed and that she was comfortable and ready for every step of her journey. She said she didn't want her to go running home to Minnesota, never to return. Dorothy liked to keep things light. She wasn't one to take life too seriously. The ranch looked out over a beautiful countryside with rolling hills. It was hot and dusty outside. Paso Robles is known for their hot, windy weather. Everyone was gathered in the kitchen as Dorothy and Glogirly pulled up to the house. There were hugs all around and plenty of laughter. A few tears too, but they were happy tears. What struck Glogirly the most about her cousin Sharon, were her eyes. She had the most beautiful, clear, blue eyes she'd ever seen. Their sparkle matched her spirit that Glogirly had instantly felt drawn to over the phone. Sharon was very protective of her mom and stuck by her side. Jeanette was quiet and looked a little frail. A gust of that wind could carry her away. In the kitchen she gave Glogirly a hug and told her how nice it was to meet her. But she kind of stood back and let the others talk. She didn't like being the center of attention. Dorothy helped break the ice again by telling the others what she and Glogirly had been up to and how much fun they'd had so far getting to know each other. Once everyone moved into the great room, Glogirly sat down next to Jeanette on a small sofa. Jeanette was a beautiful woman. Even at 83, there was something very glamorous about her. She took great care with her makeup and hair. Her lipstick was perfectly applied and her nails were manicured and bright red. She said she'd worn bright nail polish for as many years as she could remember. Never left the house without a fresh coat of polish. She held her hands together, looking down at them in her lap. Glogirly could tell Jeanette was shy. She knew that feeling very well. As a kid, she was painfully shy. It wasn't until she got to college and tried very hard to come out of her shell that she began feeling comfortable around other people. No one would believe it today, but Glogirly still considers herself extremely shy. She just works very hard at making it appear that she's not. Jeanette had brought an old photo album with her. She opened it up on her lap and Glogirly scooted in close. She walked her through every single photo. Glogirly's impression was right. Jeanette was an absolutely stunning young woman. She had the same eyes as Sharon. So striking. LOWER LEFT: Alice & Jeanette, love the shoes! She told Golgirly about the time she had spent in the US Navy WAVES. The WAVES were a World War II-era division of the US Navy that consisted entirely of women. Women Accepted for Volunteer Emergency Service, or WAVES for short. She looked beautiful in the crisp uniform. She talked of her husband, Charles Cotter, who had also served his country during the war. He was in the US Army in Normandy. Glogirly talked about her dad. He and Jeanette would have been the exactly same age. They were born just a few days apart. Glogirly's dad was a US Marine in WWII. He fought in the pacific islands and was eventually injured on Iwo Jima. He was on a Navy hospital ship just off the shore of Iwo when the flag was raised on top of Mount Suribachi. He could see it outside through the ship window. That's when he knew the war was finally over. One-on-one, Jeanette quickly warmed up to Glogirly. Although she was soft spoken, she looked right into Glogirly's eyes when she talked. She was expressive and warm. She asked Glogirly why she had searched for them. Glogirly talked about how she had grown up, how her adoptive parents had always been open and honest about everything. How they had shown such respect and gratitude to a young woman who was brave and strong and loved her baby enough to give it up. Glogirly said that she had always dreamed of having an opportunity to say Thank You to her birthmother. That was why she searched. She was too late for Alice, but Glogirly took Jeanette's hand in hers, looked into her clear eyes and said Thank You. It was as if there were no other people in the room, just Jeanette and Glogirly. It meant so much to be able to say the words she had thought about all those years. Their eyes welled up with tears, but Jeanette was comforted knowing that everything had turned out okay. The baby her youngest sister gave up was happy and well. She had a good life. Jeanette smiled through her tears. Glogirly had brought a slide show on her laptop computer to share. Everyone gathered around to see the images of Young Glogirly and her parents. She had the first photo that was ever taken of her, the day her new mommy and daddy brought her home. 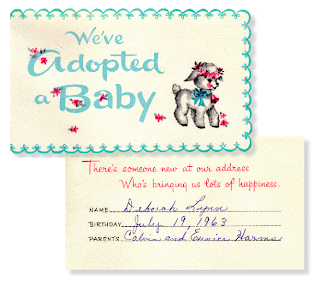 She even included the adoption announcement that her parents sent to family and friends announcing Glogirly's arrival. It was very special to her because it was written in her mom's handwriting. There were photos growing up, high school graduation, and of course wedding photos of her and Gloman, her stepson Gabe and last but not least her cat, Katie. 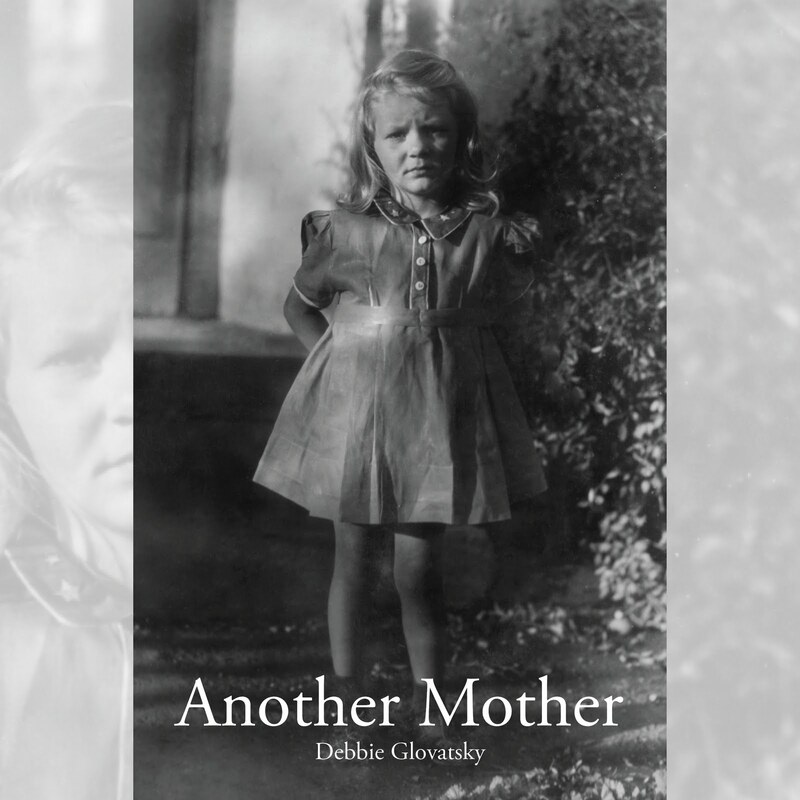 Glogirly knew that Jeanette and Dorothy both still had a lot of pain surrounding her birth. A birth is supposed to be joyous, but for Alice and her sisters this particular birth was also heartbreaking. Glogirly made a point of telling the story she knew her parents would have told if they were still alive. Because for them, it was one of the happiest days of their lives. The nurse from the adoption agency wrapped Glogirly in a pink and white flannel blanket and gently put her in her new mother's arms. Her mom and dad just ooked at her in amazement. They said that there was no greater joy on earth that when they held that little life in their arms for the first time. It was no less significant than a mother giving birth and holding her baby for the first time. It was a day and a moment they carried with them their whole lives. And the gratitude they felt for the young mother that gave birth to their daughter was something they carried with them their whole lives as well. Everyone loves a happy ending. Alice's heartache, Dorothy and Jeanette's too, was somehow softened knowing that the baby they always wondered about had grown into a beautiful woman, surrounded by love. 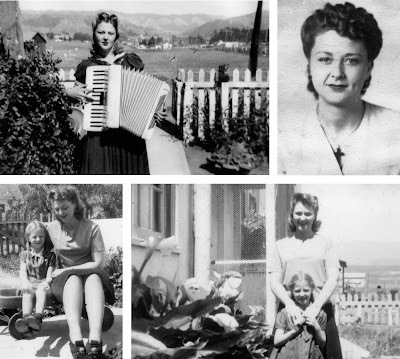 When it came time to leave, Jeanette gave the photo album to Glogirly so she could scan as many pictures as she wanted. Glogirly held onto the album like a cherished heirloom. She couldn't wait to show the photos to Gloman. Just before the goodbyes, Glogirly gathered everyone in front of Candy's house for a family photo. She could have gone home that very moment feeling complete. She remembers closing here eyes and whispering to herself, Thank You. Thank you to Alice, thank you to her parents, and thank you to God. As they drove back to Santa Maria, Dorothy asked how Glogirly was doing. Was she overwhelmed? Tired? She was amazed at how Glogirly took everything in stride. Meeting a whole new family was quite an experience. After all there were way more of them and just one Glogirly. She asked her to think about the possibility of meeting a few more. 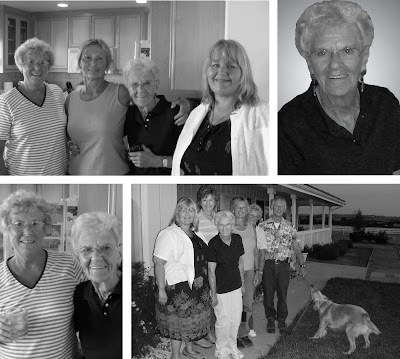 Dorothy hadn't planned on introducing her to Jim, the oldest brother, and his family quite yet. At least not on this trip. In fact Jim, his wife Armie, and all of their grown children knew nothing of Glogirly or her search for them. They knew that Alice had given up a baby years ago, but nothing more. Dorothy said that it was complicated. She needed to explain a few things before they decided what to do next. Most of all, Dorothy wanted to protect Glogirly. It had been a long day by the time they arrived back in Santa Maria at Jeff's house. Everyone was in need of a good night's rest. Before they turned in for the night, Dorothy gave Glogirly a hug, held her hands and looked into here eyes. I love you, Debbie. I'm so glad you're here. Thank you for finding us. There's MORE!?! Katie, THIS is the Greatest Story Ever Told. I am realizing just how much I take for granted knowing "who" I am...what a blessing for Glogirly to find her family, and so willing to embrace her. Onc again TW is teary eyed. Hey Katie, when do you get your blog back. I hope your getting tons of treats every day this amazing story goes on. There IS more!!! Probably another 4-5 chapters. And you better get more Kleenex. CK...I have a fairly adequate supply of salmon. But there's always room for more. This is such a great story, and so far a happy ending. I hope the remainder of it goes as well as up to this point. What courage Glogirly has to pursue her dream and make it happen. We will be back to read all the remaining chapters! I am amazed how Glogirly took everything in her stride. It must have been so overwhelming! WOW, I had some catching up to do, but that is quite a story!! !